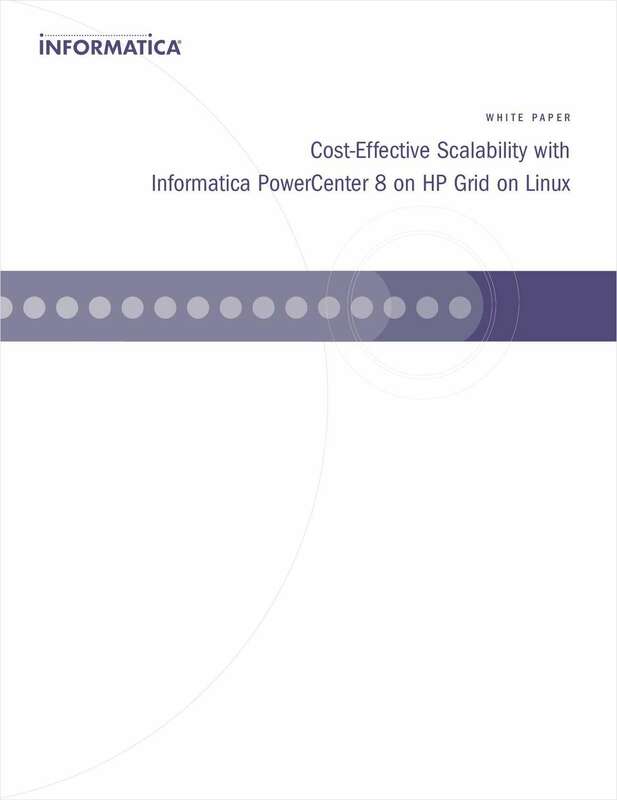 "Cost Effective Scalability with Informatica PowerCenter8 on HP Grid on Linux"
Free White Paper: "Cost Effective Scalability with Informatica PowerCenter8 on HP Grid on Linux"
This white paper details benchmark tests measuring the performance and scalability of Informatica. PowerCenter. 8 Enterprise Grid Option in a 64-bit grid system based on HP servers and RedHat Linux.